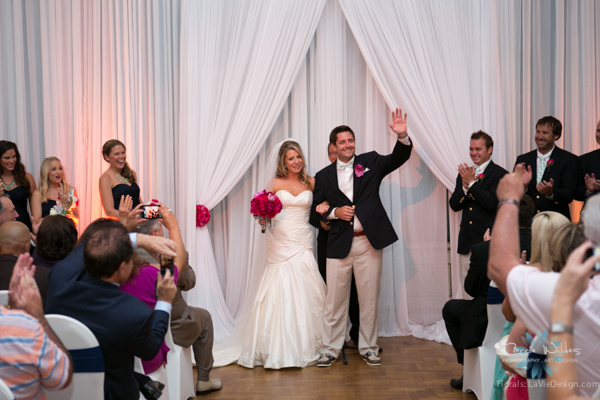 We enjoyed being a part of Heather and Crafton’s Wedding at the St. Pete Museum of Fine Arts. 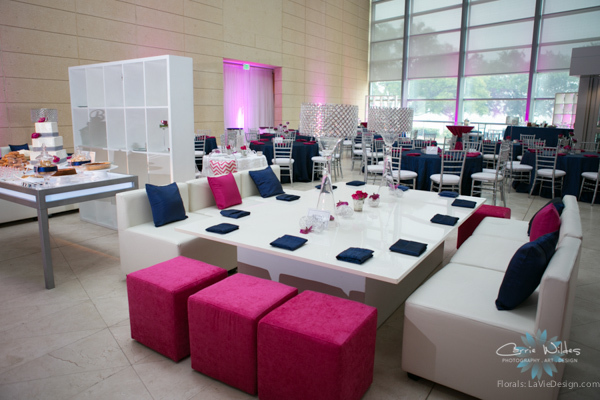 The bride’s vibrant personality shined through with her excellent choices…from bold colors, patterns and furniture. 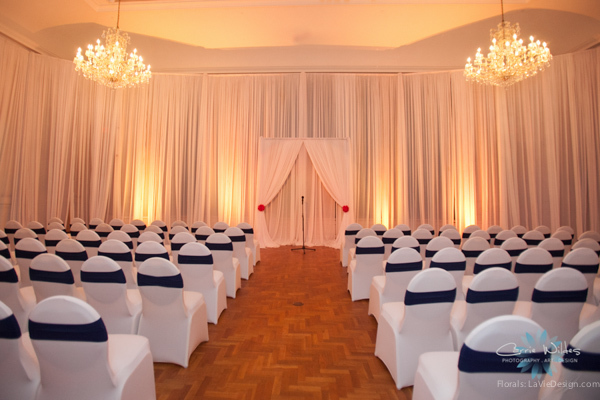 Thank you to Carrie Wildes Photography for capturing these lovely images and visit her blog to see more photos click here.. 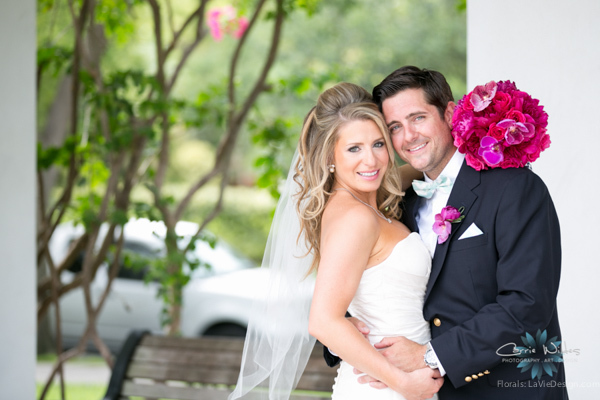 The lovely groom’s boutonniere…a Vanda Orchid and Peony…mirrored the brides bouquet. 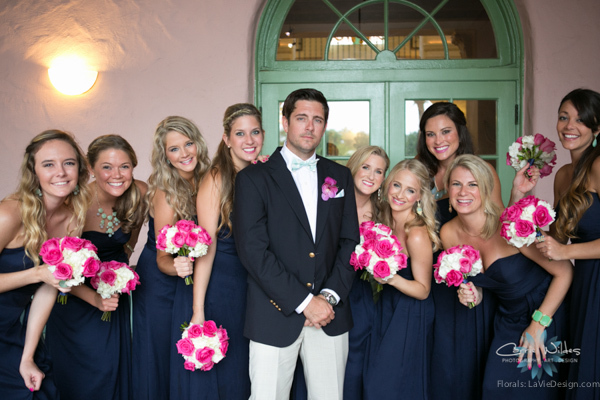 This bride did not leave any of her girls out of the fun. They all had bouquets of fuchsia Roses and white Hydrangea. The bride had a special bouquet made with Peonies, Roses, Vanda and Phalaenopsis Orchids all held together with a chevron ribbon. A light touch of fuchsia flowers made the ceremony festive. Unique lounge furniture is funcitional and comfortable so all guests can enjoy the festivities of the night. 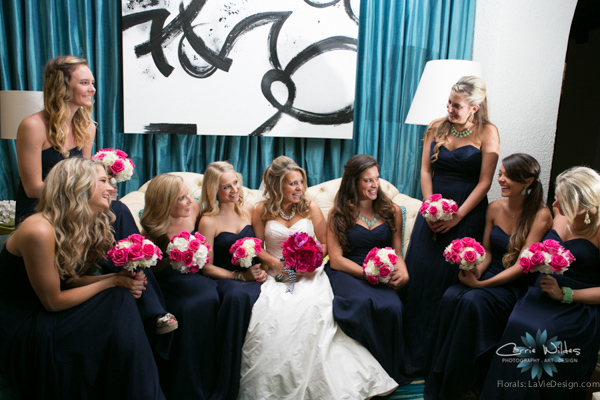 The bride wanted her sparkling personality to come through to all her guests at the reception. 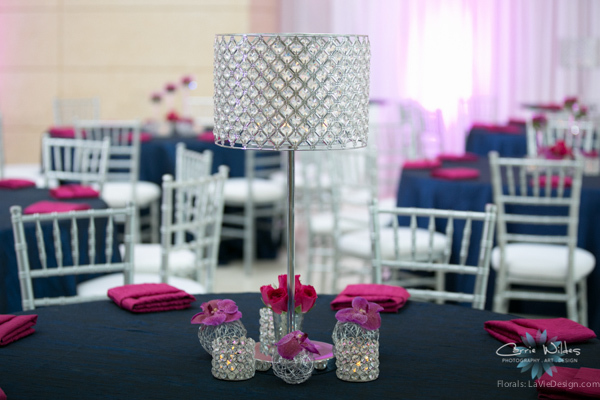 Adding our crystal lamp and candle holders helped her dream come true. 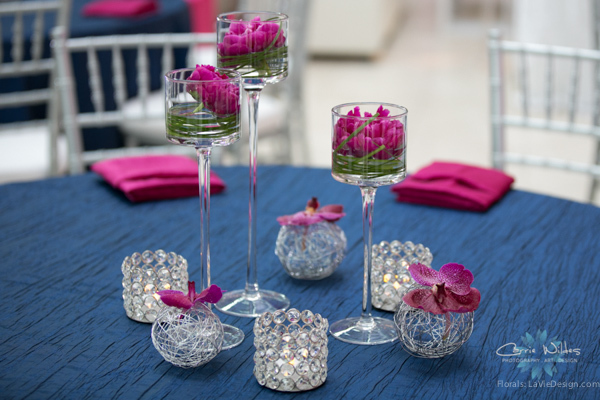 Simplicity of a Peony and Bear Grass is sometimes all it takes to add sparkle to a table. 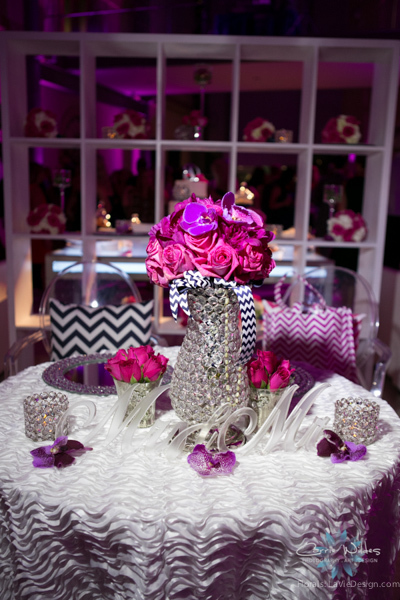 This sweetheart table was full of Heather’s personality. Noticed how we repurposed the bouquets behind the table. 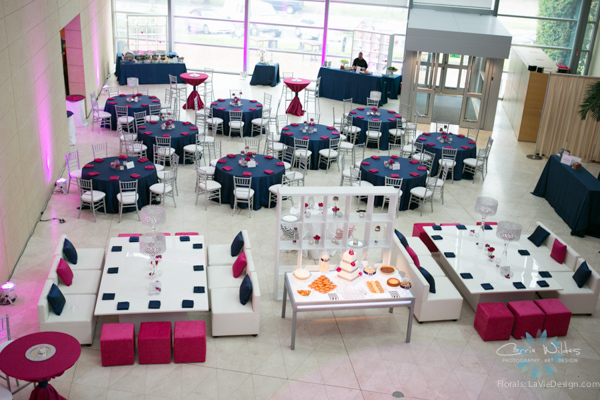 This cake table had much more than just a cake. 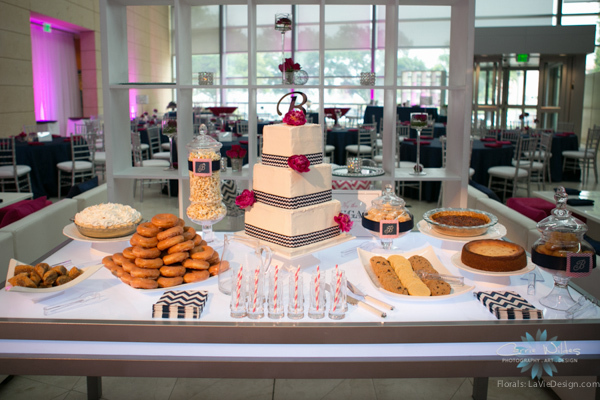 Adding desserts helps all the guests pick which sweet they want most… and they smell delicious too! 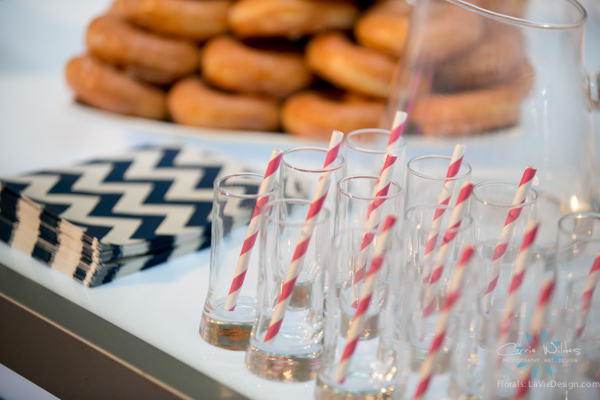 Be sure to add a tall glass of milk to all that sweet food…chevon napkins helped to tie in the theme. 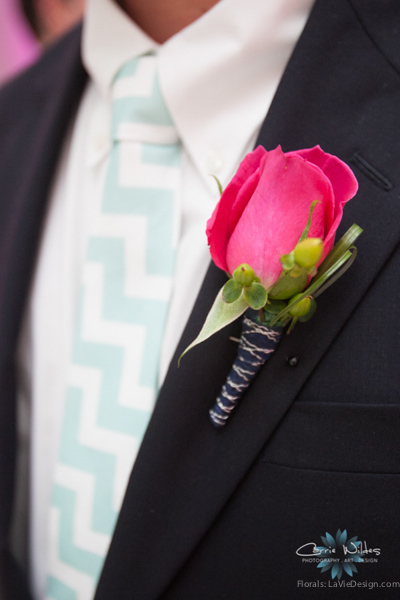 The groomsmen played along with the days theme with a beautiful rose boutonniere and a chevron tie.